DeSantis, J. (2016). Investigating the Relationship Between TPACK and the ISTE Standards for Teachers. Issues and Trends in Educational Technology, 4 (1),. University of Arizona Libraries. Retrieved April 20, 2019 from https://www.learntechlib.org/p/180275/. Bate, F.G., Day, L., & Macnish, J. (2013). Conceptualising changes to pre-service teachers’ knowledge of how to best facilitate learning in mathematics: A TPACK inspired initiative. Australian Journal of Teacher Education, 38(5), 14-30. Brantley-Dias, L., & Ertmer, P.A. (2013). Goldilocks and TPACK: Is the construct “just right?”. Journal of Research on Technology in Education, 46(2), 103-128. Bull, P., & Cisse, D. (2011, March). TPACK model integration: Preparing preservice teachers to teach with technology. In Society for Information Technology& Teacher Education International Conference (Vol. 2011, No. 1, 4291-4296). Chai, C.S., Koh, J.H.L., Tsai, C.C., & Tan, L.L.W. (2011). Modeling primary school pre-service teachers’ Technological Pedagogical Content Knowledge (TPACK) for meaningful learning with information and communication technology (ICT). Computers& Education, 57(1), 1184-1193. Darling-Hammond, L. (2012). Powerful teacher education: Lessons from exemplary programs. John Wiley& Sons. Hoboken: NJ. Graham, R.C., Burgoyne, N., Cantrell, P., Smith, L., St Clair, L., & Harris, R. (2009). Measuring the TPACK confidence of inservice science teachers. TechTrends, 53(5), 70-79. Habowski, T. & Mouza, C. (2014). Pre-service teachers’ development of technological pedagogical content knowledge (TPACK) in the context of a secondary science teacher education program. Journal of Technology and Teacher Education, 22(4), 471-495. Chesapeake, VA: Society for Information Technology& Teacher Education. Jang, S.J., & Chen, K.C. (2010). From PCK to TPACK: Developing a transformative model for pre-service science teachers. Journal of Science Education and Technology, 19(6), 553-564. Koehler, M.J., Mishra, P., Kereluik, K., Shin, T.S., & Graham, C.R. (2014). The technological pedagogical content knowledge framework. In J.M. Specter, M.D. Merrill, J. Elen, & M.J. Bishop (Eds. ), Handbook of Research on Educational Communications and Technology (101–111). New York: Springer. Koehler, M.J., Shin, T.S., & Mishra, P. (2012). How do we measure TPACK? Let me count the ways. In R.N. Ronau, C.R. Rakes, & M.L. Niess (Eds. ), Educational technology, teacher knowledge, and classroom impact: A research handbook on frameworks and approaches (16–31). Hersey, PA: IGI Global. Koh, J.H., & Divaharan, H. (2011). Developing pre-service teachers’ technology integration expertise through the TPACK-developing instructional model. Journal of Educational Computing Research, 44(1), 35-58. Ling Koh, J.H., Chai, C.S., & Tay, L.Y. (2014). TPACK-in-action: Unpacking the 30 contextual influences of teachers’ construction of technological pedagogical content knowledge (TPACK). Computers& Education, 78, 20-29. Mishra, P., & Koehler, M. (2006). Technological pedagogical content knowledge: A framework for teacher knowledge. The Teachers College Record, 108(6), 10171054. Mouza, C., Karchmer-Klein, R., Nandakumar, R., Yilmaz Ozden, S., & Hu, L. (2014). Investigating the impact of an integrated approach to the development of preservice teachers’ technological pedagogical content knowledge (TPACK). Computers& Education, 71, 206-221. Sang, G., Valcke, M., Braak, J.V., & Tondeur, J. (2010). Student teachers’ thinking processes and ICT integration: Predictors of prospective teaching behaviors with educational technology. Computers& Education, 54(1), 103-112. Schmidt, D.A., Baran, E., Thompson A.D., Koehler, M.J., Mishra, P. & Shin, T. (2010). Technological pedagogical content knowledge (TPACK): The development and validation of an assessment instrument for preservice teachers. Journal of Research on Technology in Education, 42(2), 123-149. Tai, S.J.D. & Crawford, D. (2014). The impact of field experience in technology integrated classrooms on preservice teachers’ development of TPACK. In M. Searson& M. Ochoa (Eds. 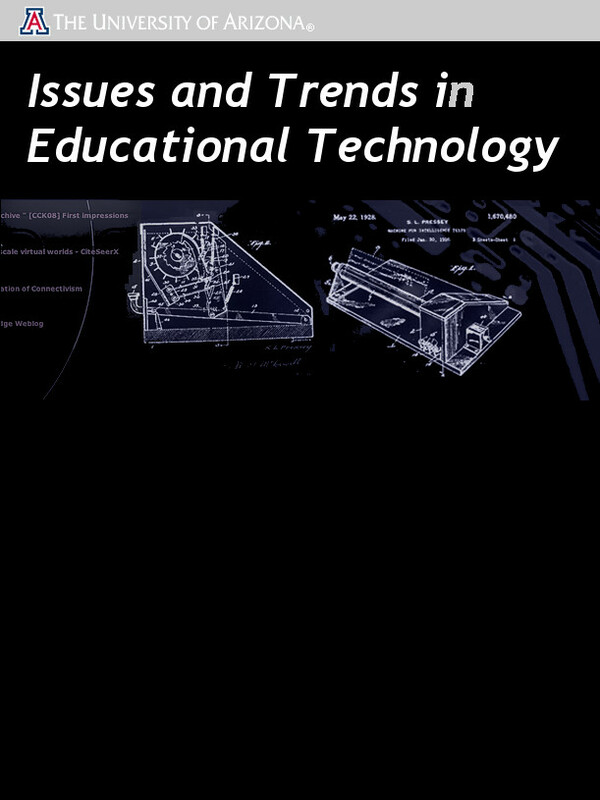 ), Proceedings of Society for Information Technology& Teacher Education International Conference 2014 (2665-2668). Chesapeake, VA: AACE. Willis, J. (2012). Adapting the 2008 NETS-T Standards for use in teacher education: Part II. International Journal of Technology in Teaching and Learning, 8(2), 78-97.